Did I mention that apples were my favourite fruit? Yup, they sure are and they are now in season! My favourites are the apples that are very crisp. 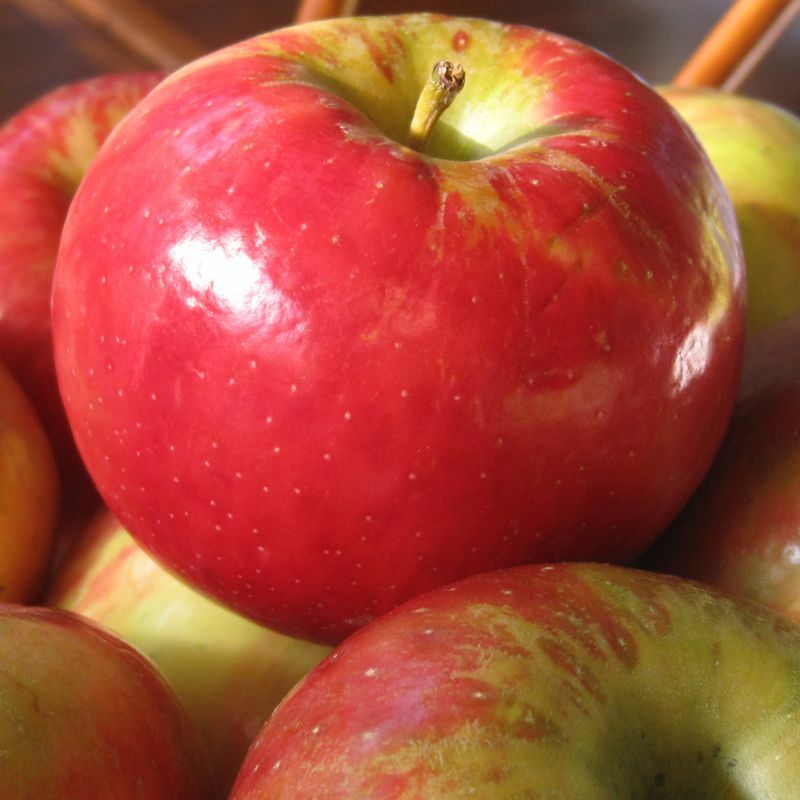 I really hate a mushy apple (sorry Red Delicious… you are right out! ) I prefer Honey Crisps, Jonagolds, Winesaps…. you get the picture. There’s plenty to choose from at the markets now and I am in heaven! 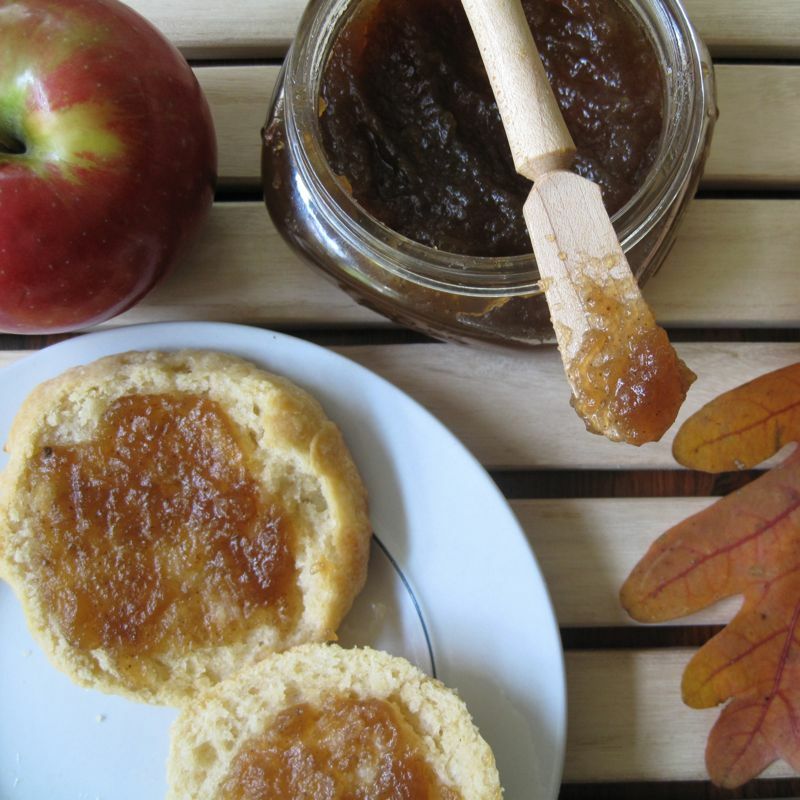 I have never made Apple Butter, so bolstered by my recent preserve making successes, I decided there was no time like the present and got to it. I read over the River Cottage Preserves Handbook and decided to use their recipe for Cider Apple Butter, but with a bunch of extra spices and some extra booze thrown in. No not Jack Daniels, but I can understand why you might have guessed that particular spirit. I used a bit of Calvados that I happened to have on hand. 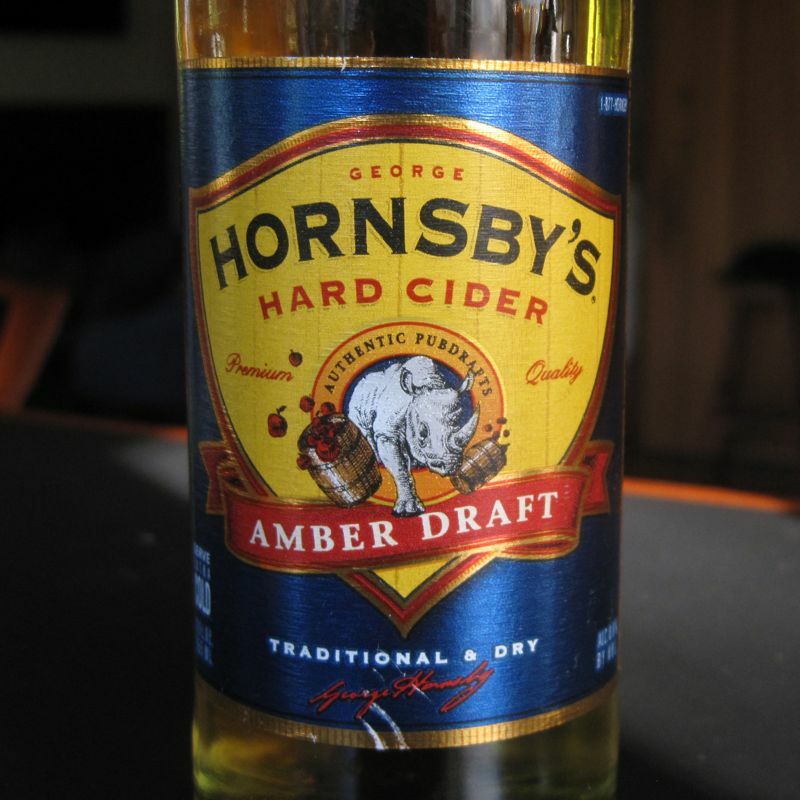 I also used Hornsby’s Cider which is a dry hard cider. The “dry” bit that I’m referring to means that in most of the natural sugar has been fermented out as the cider is made. Other brands of dry cider easily available include Woodchuck or Strongbow. If you wanted to use a non-alcoholic cider, remember that you will likely need to reduce the overall amount of sugar in the recipe, due to the sweetness of the unfermented cider. 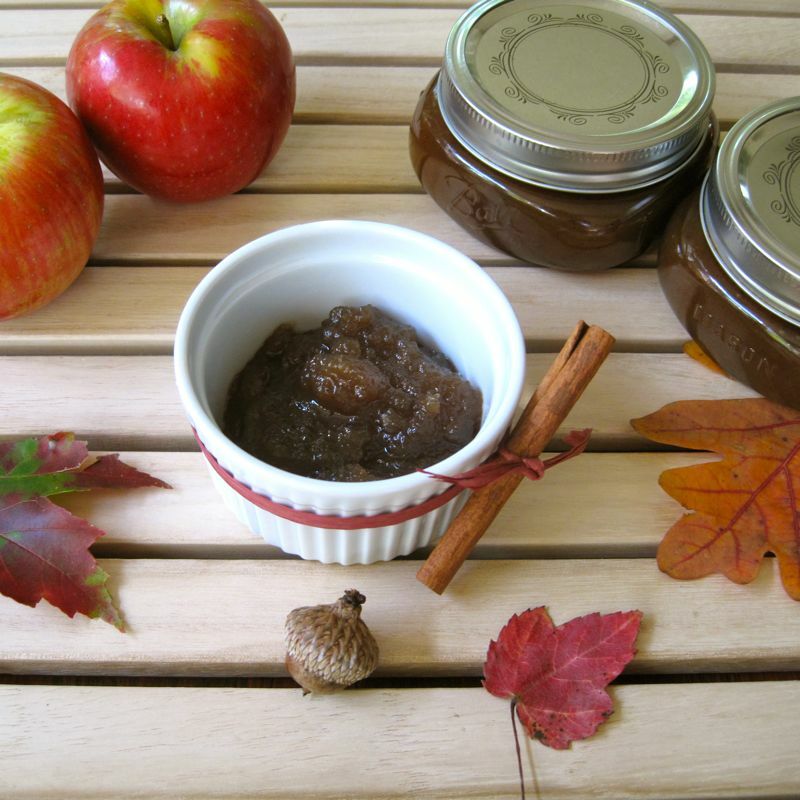 For my first batch ( yes there will be a second…hence the tale of two butters thing in the title) of hard cider apple butter, I used my favourite Honey Crisp apples.The apple butter was very easy to make. The most difficult bit was all of the paring and coring in the beginning. I guess if you have a food mill or sieve to strain the cooked mixture through, you don’t even have to worry about doing that prep work and can remove the peels and seed etc. after cooking. I decided that it would be easier to just spend a bit of time with the apples beforehand. It was worth the effort. 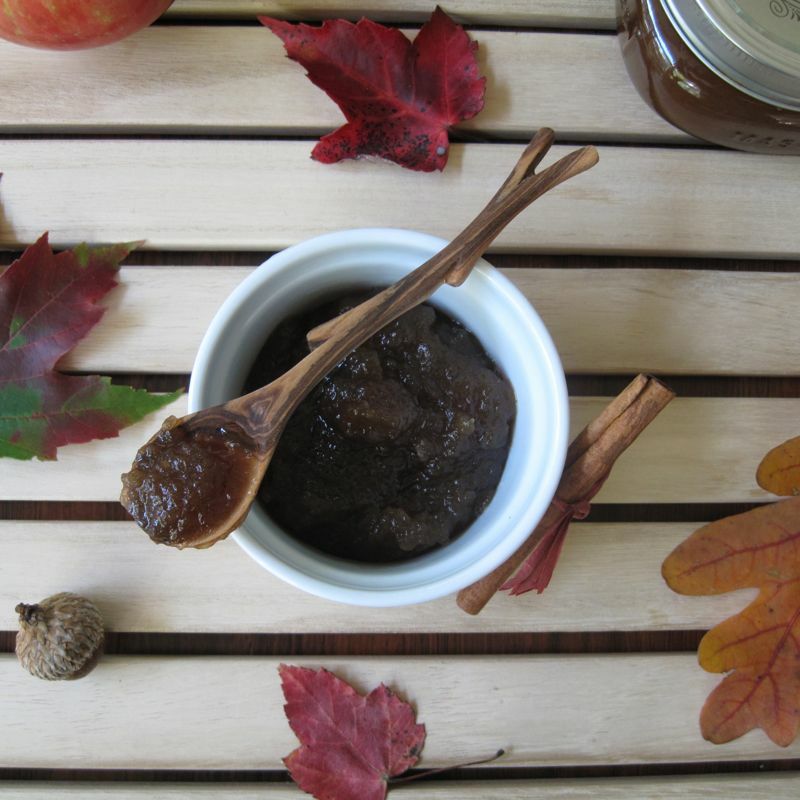 My Tipsy Sweet Apple Butter has a great flavour and perfect spreading consistency. I must say though, this batch was really sweet. I know, I know…its Apple Butter, which is generally sweet. But I thought I might like a more tart version. Since the butter was so easy to make, I got to work straight away on my second batch, in which I used Granny Smith apples. These apples are not an apple I would reach for if I was just eating one for a snack. But I knew they have the more tart flavour that I was looking for. I also reduced the amount of sugar from 2/3 cup per cup of apple pulp to 1/2 cup sugar per apple pulp. The only other change to the recipe was that I went a wee bit heavier with the cinnamon and upped it to a full teaspoon. 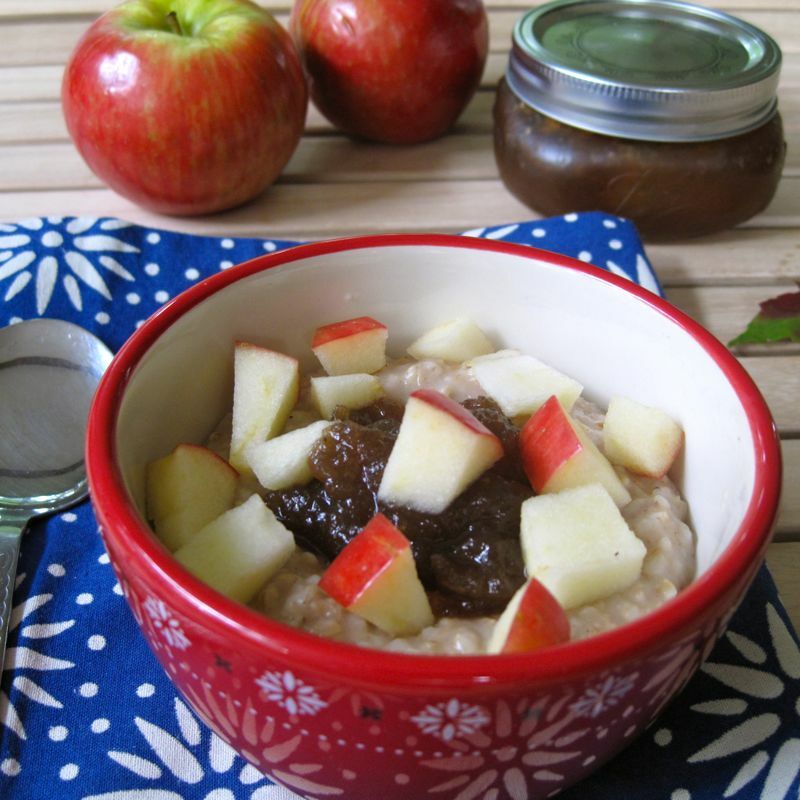 This Drunken Granny Apple Butter was exactly what I was looking for. Great flavour, but not as sweet as my Tipsy Sweet variety. I decided to include both recipes since I know everyone’s taste varies and this will give you some options. So I’m counting my apple butter making foray a success. We do have quite a bit of the stuff now (look out friends and family…there may be some Christmas Apple Butter coming your way), but we’ve been steadily using it up. We’ve been eating it on toast, in oatmeal, straight out of the jar. And oh…I was inspired to make some lovely biscuits to spread it over. Fill a large pot with tap water. Submerge five 1/2 pint (8 ounce) jars and their lids, making sure they are completely covered by the water. Boil the water. Wash, peel and core the apples. Chop them into big pieces. Place in a large pan with the cider, 1/2 cup of apple brandy and 2 cups of water. Cook gently until soft, then remove from heat. Drain liquid from apples. 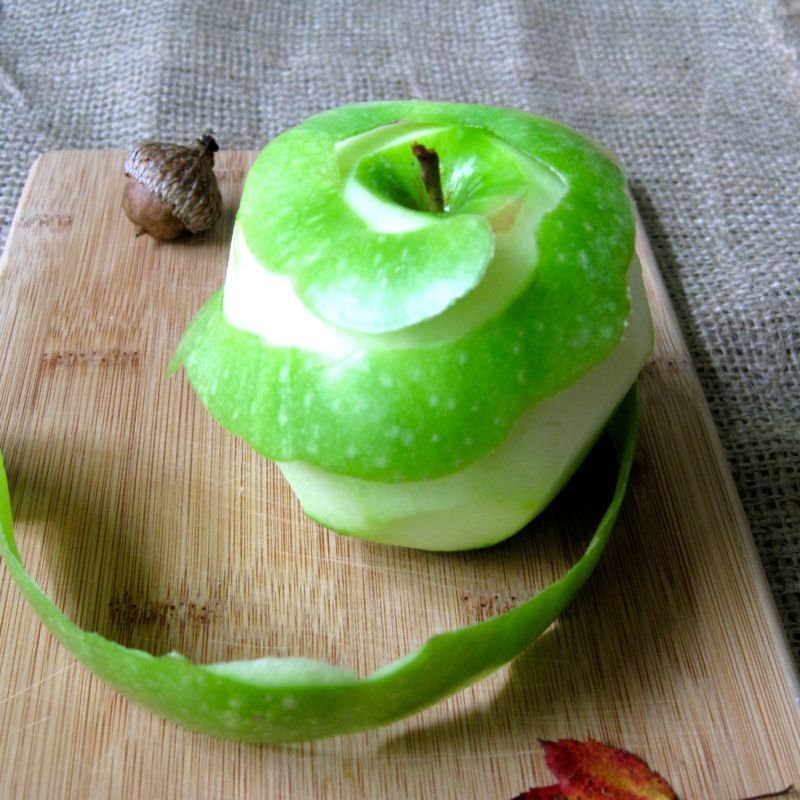 Place softened apples in blender or food processor to puree. Measure the volume of fruit pulp and return it to the pan. Add 2/3 cup sugar if you’re making Tipsy Sweet or 1/2 cup sugar if you’re making Drunken Granny (I used turbinado, but you can use granulated if you prefer) for every one cup of apple pulp. Add the cloves, cinnamon, nutmeg, salt, lemon juice and vanilla bean to the apple pulp and stir to combine. Slowly bring the mixture to a boil, stirring until the sugar has dissolved. Then turn the heat up to bring mixture to a rapid boil for 15-20 minutes, or until the mixture reaches your desired consistency. Remove vanilla bean prior to placing in jars. 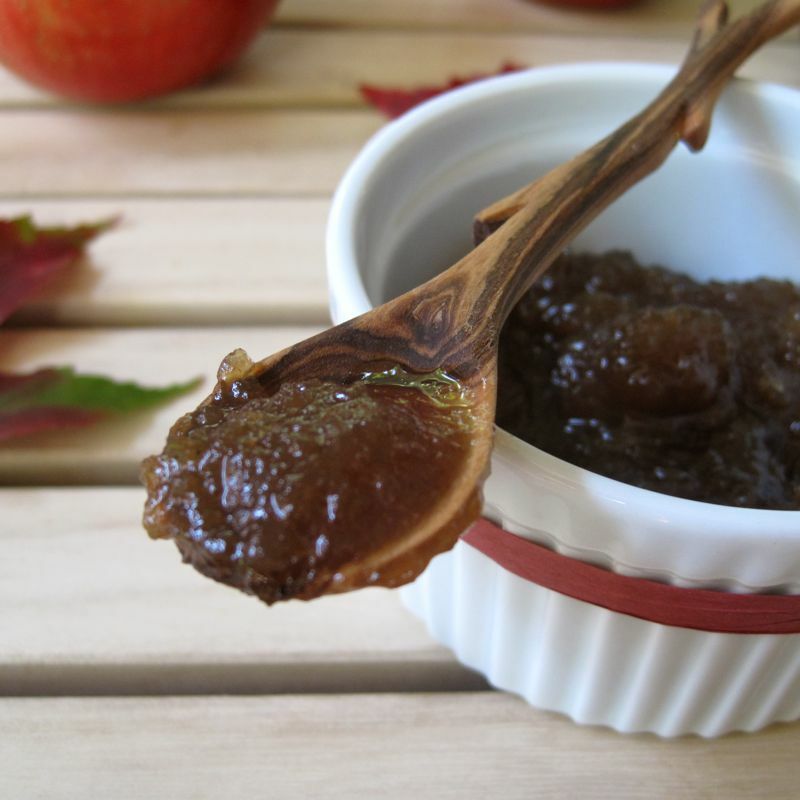 Remove from heat and ladle apple butter into sterilized jars. Using tongs, pick up the full jam jars and place them back into the boiling water for 5 minutes. After 5 minutes, remove the jars and place them on the towel. As they cool, you should hear a ping type noise which tells you the jam jars are sealed. When you push down in the center of the top of the jar, there should be no click noise. Make sure the lids are sealed tightly. Once jars have been opened, refrigerate. 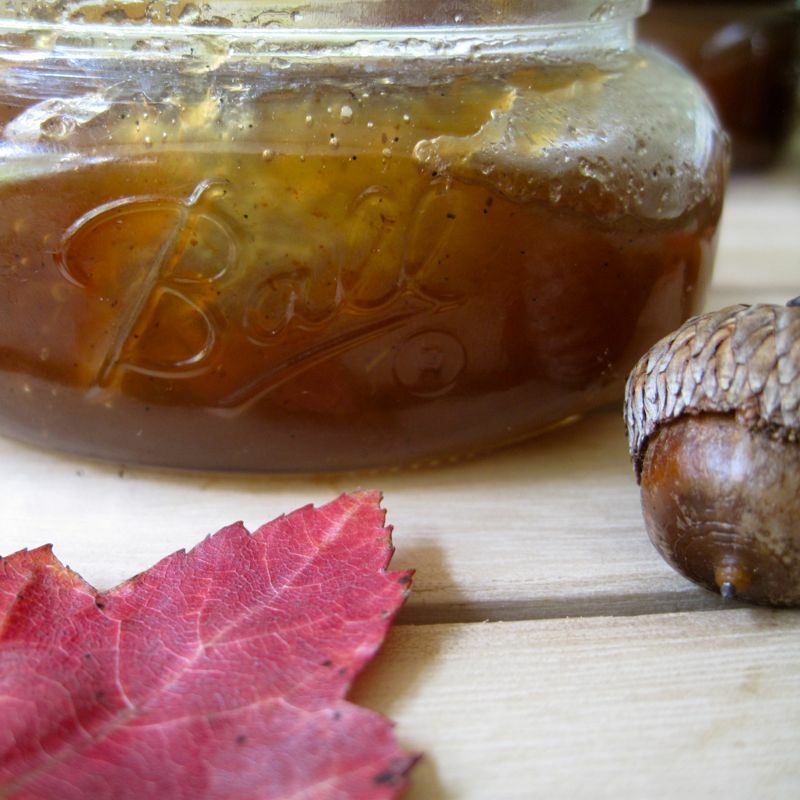 This entry was posted on Monday, November 14th, 2011 at 10:46 am and is filed under Jams/Jelly/Conserve, Recipes. You can follow any responses to this entry through the RSS 2.0 feed. You can leave a response, or trackback from your own site.